We are a locally made, zero added sugar, gluten free, craft soda. Our craft fizzes are inspired by the desire to create flavors that are a bit more complex than what you might typically find at your local grocery store. The blending of select herbs and spices with locally sourced fruit results in a refreshing, craveable and wholly unique experience that will quench your thirst without that sugar crash you are used to from a soda. 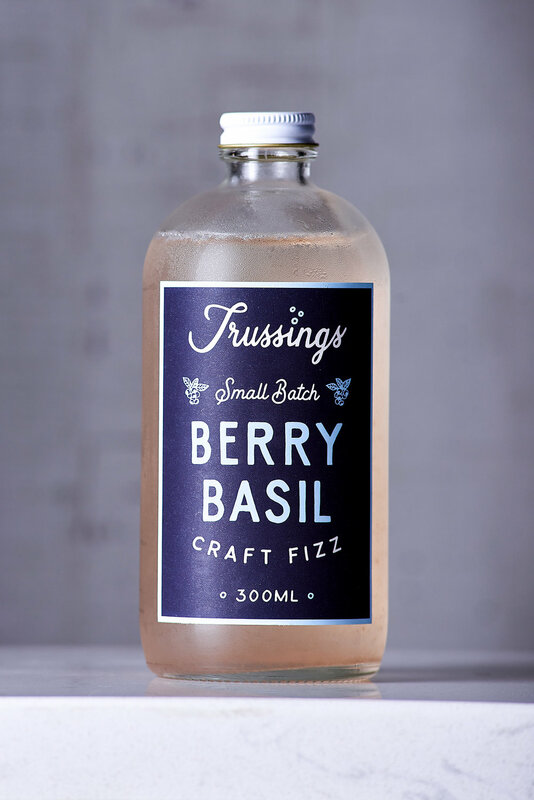 Whether your personal preferences lead you to a slightly sweeter Apple Sage Fizz or a more tart Ginger Lime Fizz, we think you'll find something you love and keep coming back to in one of our Fizzes. Inspired by Steam Bell Beer Works' summer seasonal Rabbit Eye, the Blueberry Basil Fizz is tart yet refreshing and made with fresh blueberries. With a light burn from fresh ginger that is expertly balanced with citrus, the Ginger Lime Fizz provides a bright yet smooth drinking experience. Crisp summer apples and aromatic sage come together to create the unique and unforgettable Apple Sage Fizz. An homage to our southern upbringing, the Mint Tea Fizz is the perfect compliment to a warm afternoon. We seek to partner with as many Virginia based suppliers as possible for our beverages. Trussings Craft Fizz can now be found in Richmond Virginia at the Steam Bell tasting room! Thanks for reaching out, we'll be in touch soon.